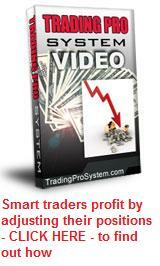 So You're Looking for Some Good Forex Options Brokers! Forex Options Brokers give you a little more than traditional forex brokers because they also provide the ability to choose options on foreign currencies as either an alternative financial instrument to the spot market, or as a hedge for existing leveraged spot positions. Most foreign currency brokers don't boldly advertise their willingness to include options as part of your trading suite, firstly because they are less well known and second, because it is more marketable for them to make their commissions on the spread rather than having to charge a fixed transaction fee for the option trade itself. 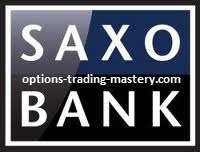 Saxo Bank is located in Europe but also have offices in Sydney, Tokyo, South Africa, Hong Kong, Panama, London and Singapore. They provide live streaming vanilla (Black Scholes pricing model) or binary forex options trading opportunities through their downloadable trading platform on twelve major currency pairs. They also offer leveraged spot forex trades and forex forward contracts, which means you can them in combination with vanilla options to offset your positions, or use the differences in delta and strategies such as the short straddle to your advantage. Saxo Markets (as they are also called) claim to be able to provide larger strike price ranges together with longer expiration dates than other brokers. They don't charge commissions on the trades but build it into the option spread. For example, the EURUSD might be trading around 1.3630 but the ATM call options will be at 1.3650 strike. If the trade size is too low in value there is a $US10 commission. Forex options expiring in the money are converted to a spot position but a trader may choose to convert it to cash by exiting at the mid price. ThinkorSwim is located in the USA and are part of the Ameritrade Group. Their downloadable trading platform is second to none for options and includes advanced options analysis capabilities which makes them one of the best forex options brokers around. Unfortunately, you cannot join ThinkorSwim if you are a UK resident but you can from most other countries. The way you trade forex options with ThinkorSwim is to select options on futures, followed by the currency of your choice. Options on currency futures are not as liquid as stock options but you can utilise some of the more popular option trading strategies with them. IG Markets are a UK based brokerage firm listed on the London Stock Exchange but they have offices in all major trading countries. Their main focus is CFDs ("contracts for difference") but they also include option trading on all the major forex pairs. Their platform however, doesn't seem to be set up for more advanced options strategies, only simple open positions - but it now includes some binary options. You could "leg in" to an option spread or a straddle on currencies but risk slippage in the process. Nevertheless, they are a forex options broker worth considering if you only want to trade simple directional positions.